Property Location With a stay at Riverside Hotel Kumamoto, you'll be centrally located in Kumamoto, within a 10-minute drive of Kumamoto Castle and Shinshigai Shotengai. 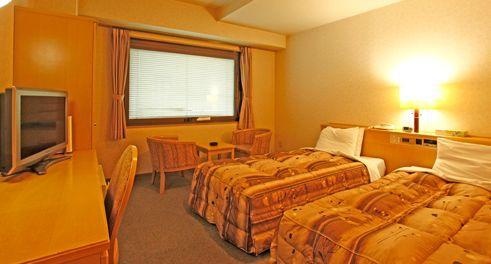 This hotel is 0.6 mi (0.9 km) from Kumamoto City Hall and 0.7 mi (1.1 km) from Catholic Tetori Church.Rooms Make yourself at home in one of the 194 guestrooms featuring refrigerators and LCD televisions. Complimentary wireless Internet access keeps you connected, and digital programming is available for your entertainment. Private bathrooms with shower/tub combinations feature complimentary toiletries and hair dryers.Amenities Make use of convenient amenities such as complimentary wireless Internet access, a banquet hall, and a vending machine.Dining Enjoy a satisfying meal at Grand Cafe serving guests of Riverside Hotel Kumamoto. Buffet breakfasts are available daily from 6:30 AM to 10 AM for a fee.Business, Other Amenities Featured amenities include complimentary newspapers in the lobby, dry cleaning/laundry services, and luggage storage. Self parking (subject to charges) is available onsite. Nearby shopping street. Close to restaurants. Great location. Fair city hotel. Located near shopping areas with easy access to parking. Rooms are small. Bed is small. Cozy room. Rooms are small. Bed is small. Room is small.